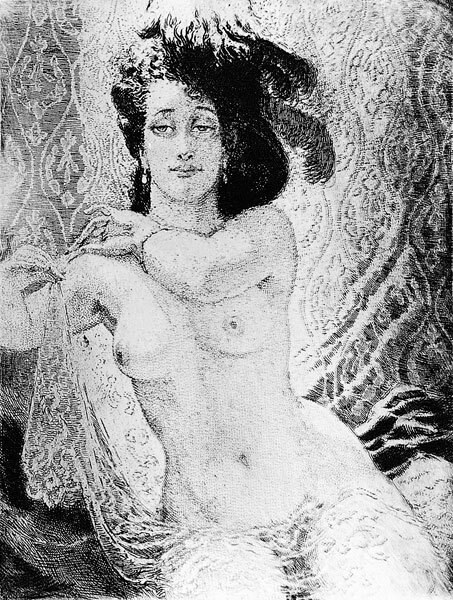 This Norman Lindsay Facsimile etching titled “Rita” was released in 1998, the image size is 15.1 x 11.5 cm. Rita Lee posed for Norman Lindsay as a model for many works over six years from 1936 to 1942. This image is identical to the 1942 oil painting The Black Hat Rita was Norman’s favorite model after Rose. The original etching was never published.